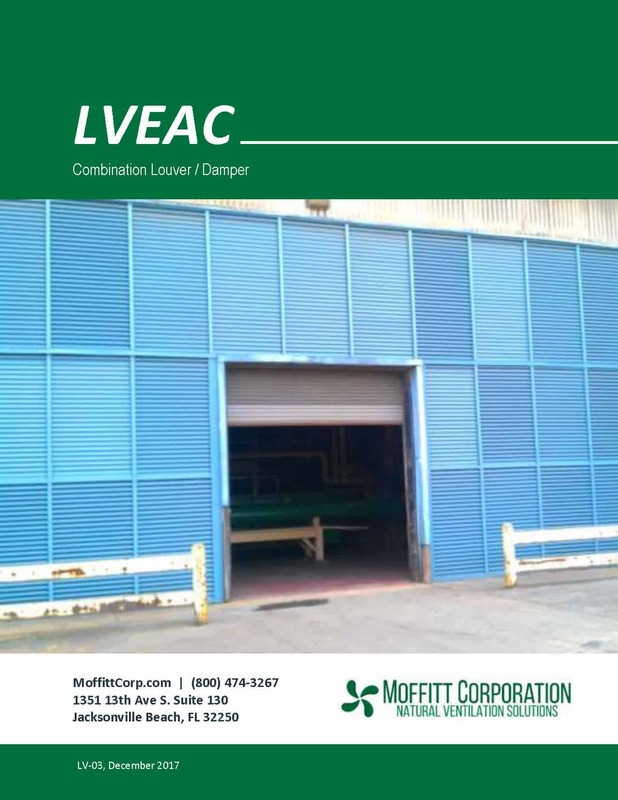 Moffitt Corporation Wall Louver (LV) Extruded Aluminum (EA) Combination (C) units (LVEAC) provide great performance, architectural appeal, and adaptability. Combination louvers are used when a fixed louver is wanted on the exterior face of a facility for aesthetic purposes. Extruded aluminum louvers are used in a variety of commercial and industrial applications. Drainable and non-drainable styles are available. Each unit has a fixed front blade and adjustable rear blade. EcoStream wall louvers are mounted on the sidewall at any elevation.